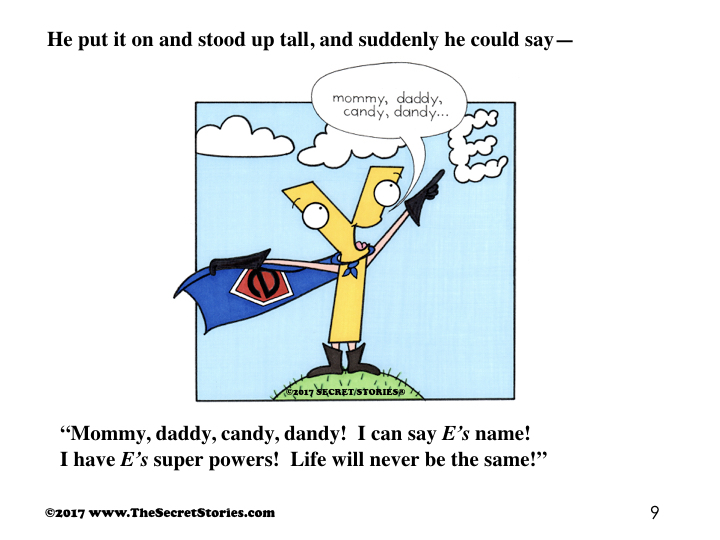 Secret Stories® Phonics Blog with Katie Garner: How to Teach the "Sounds of Y" so that kids GET IT! 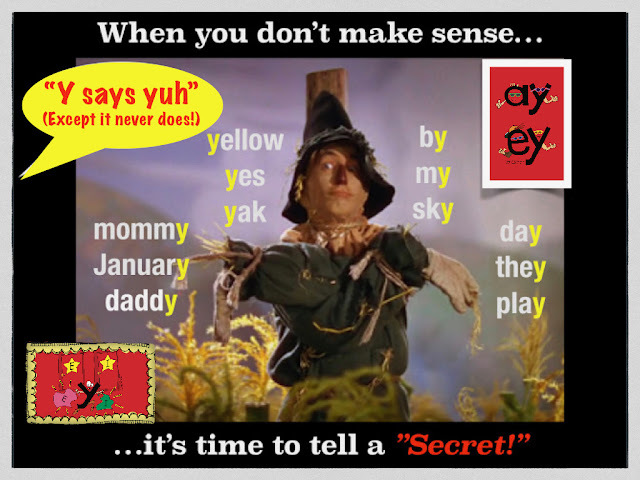 How to Teach the "Sounds of Y" so that kids GET IT! There's an elephant in your classroom. 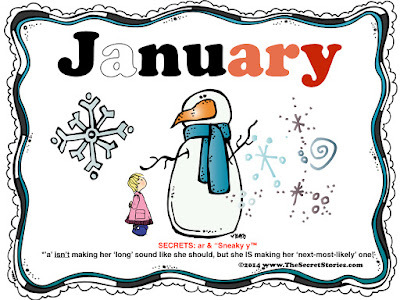 You sweep by it every day in your classroom, several times in fact, and probably without even noticing it. 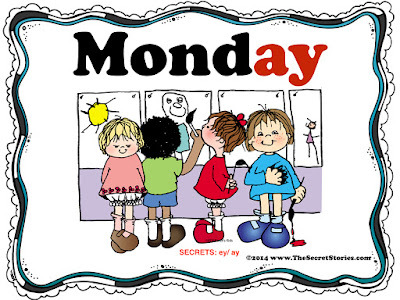 It's most conspicuous during morning calendar time, as that's its favorite time of day. Can you visualize it? No?? 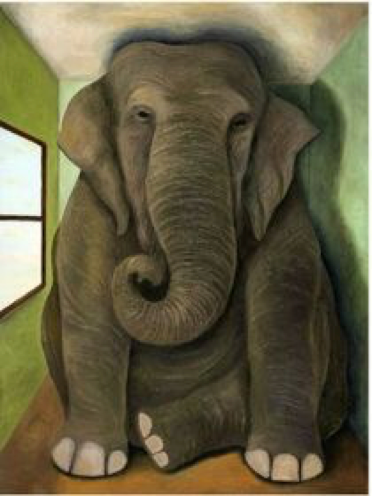 as having elephants in the classroom isn't good for the brain! 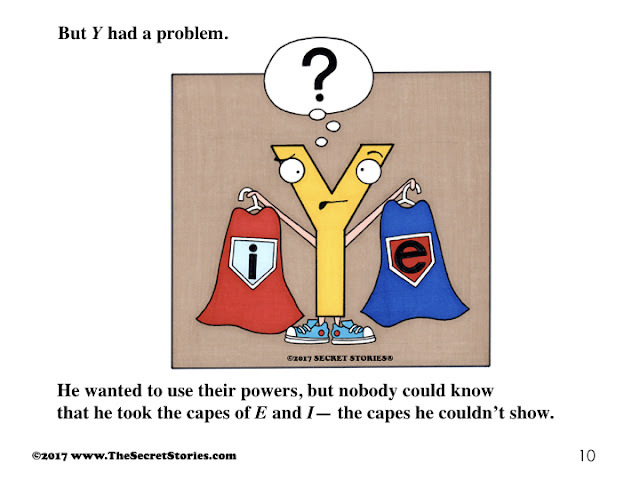 letters don't always do what they should when they get together with other letters in words! Sunday.... 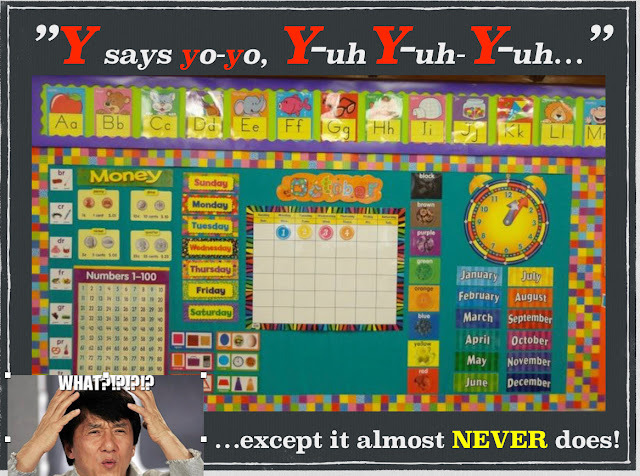 It's literally everywhere, and not one time does it ever say, "yuh!" We tell kinders that, "Y says Yo-Yo, yuh, yuh, yuh"..... except it almost never does! write in our stories— mommy, daddy, candy, etc... and we literally have elephants running everywhere! The Sneaky Y® "Cheat-Sheet" from Secrets of the Superhero Vowels®! But what about words like: Monday or May? 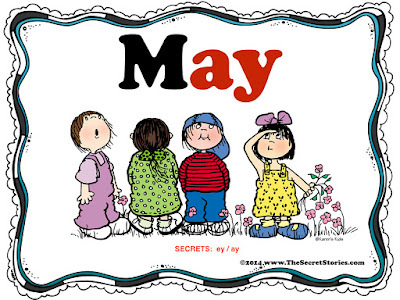 So what about words like Monday and May, you ask? That's not Sneaky Y®! 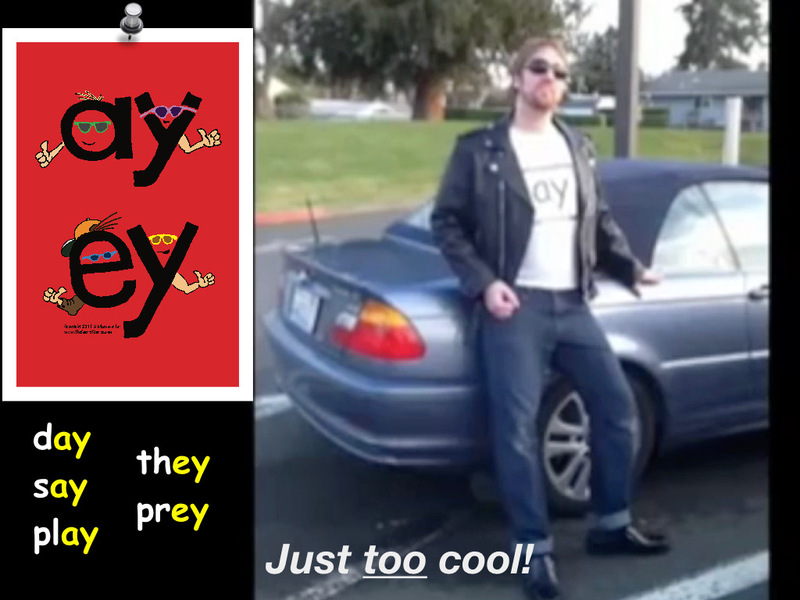 That's ey and ay, and they are just too cool! 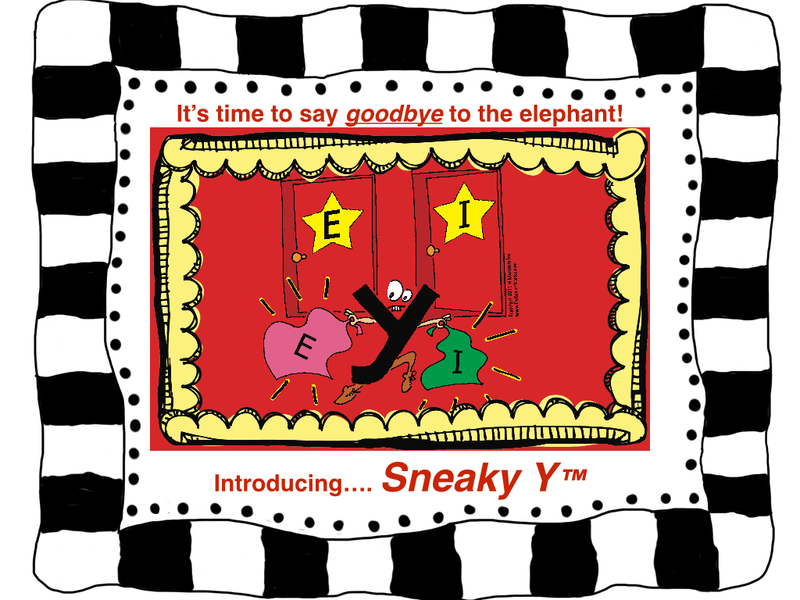 Guided Reader that's all about Sneaky Y® and his sneaky shenanigans! 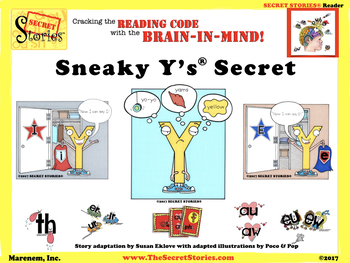 for the Sneaky Y® Guided Reader in your email. Otherwise, it will be on sale through Monday! My name is Daniel and I teach kindergarten in Washington State. 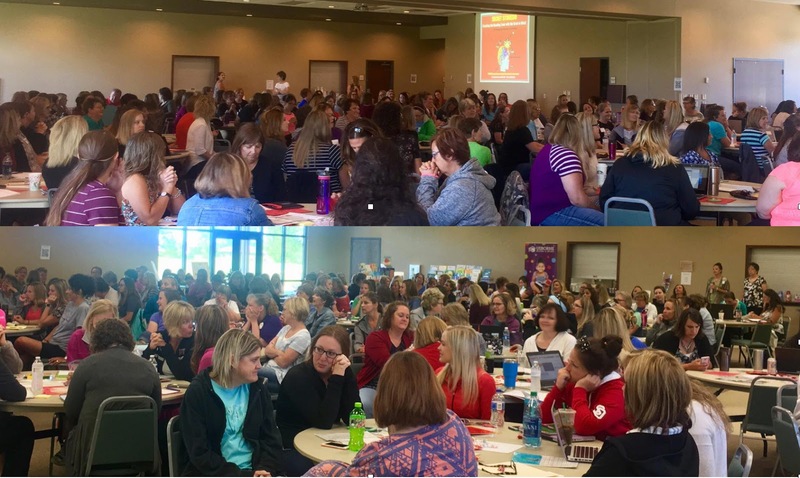 Last year my school district adopted a new reading curriculum and when my team examined the leveled readers before the start of the school year, we were initially in shock. We had no idea how our students were expected to read the new complex text introduced so early in the curriculum. After our initial reaction started to subside we got very motivated to create and find innovating and engaging methods for teaching more advanced phonics skills. 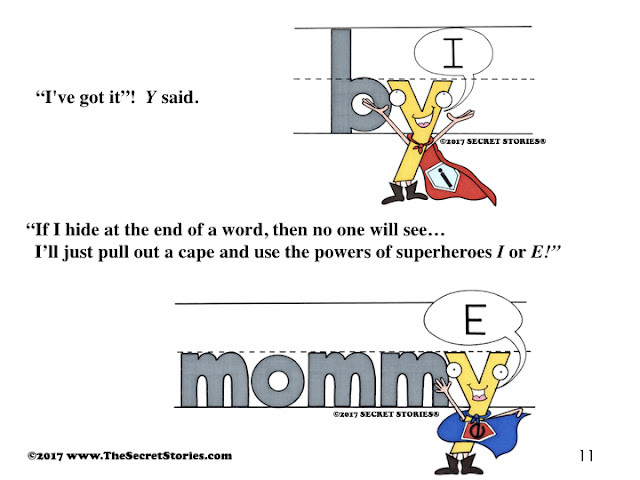 Around November I stumbled across a pin on Pinterest with the Secret Story posters for the R-controlled vowels, etc… I had seen it before and I thought it was a neat idea, but I had never clicked on the link. 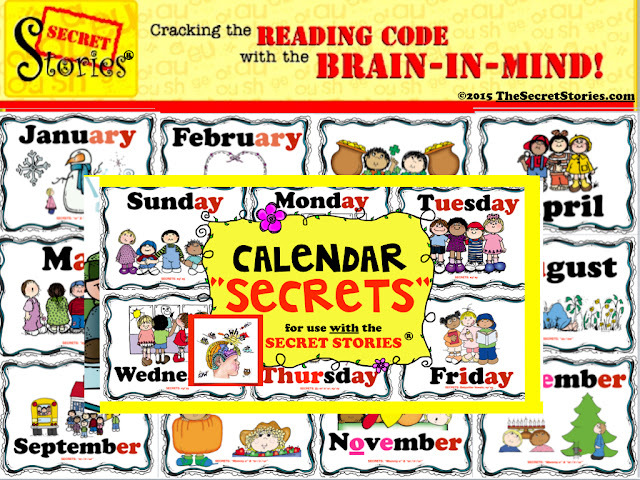 When I clicked on it and found your website and realized the scope of how many secret stories there were, I got really excited and shared it with my teaching partners who shared in my enthusiasm. They were the perfect solution to our problem! 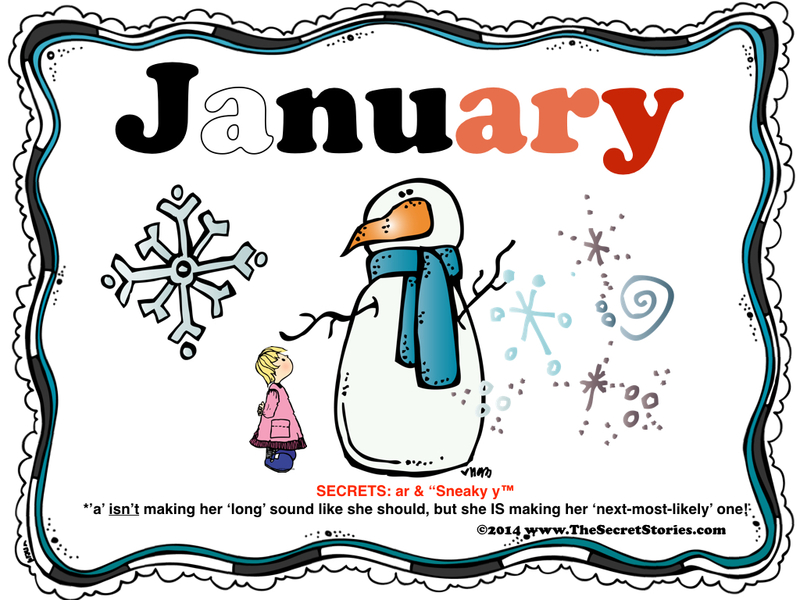 We made up a few secret stories on our own before convincing our school to purchase them for our grade level, but by January we had them and made the full commitment to implement them. By the end of the year, we had by far the most students reading the Beyond Leveled Readers in the district, and many students needed even more challenging text. 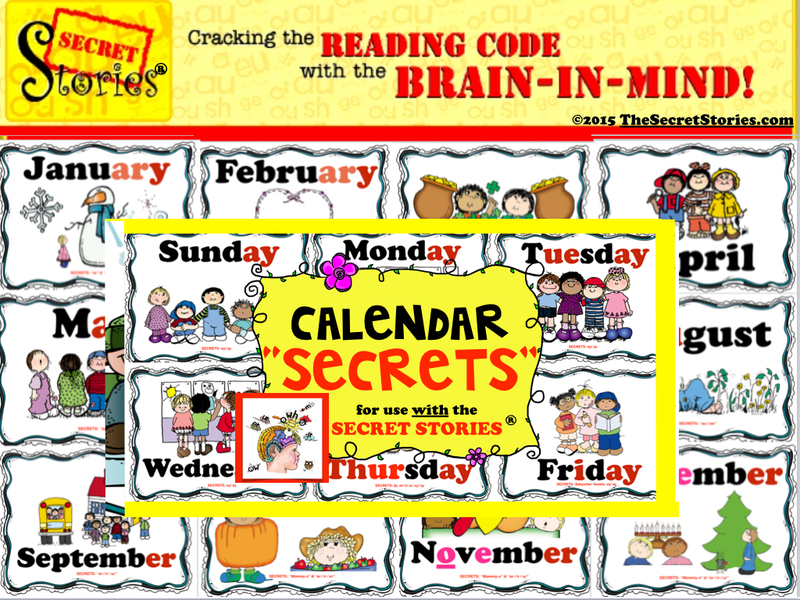 By the summer I started presenting about the Secret Stories to other teachers in my district and adjacent ones, and ever since I have been trying to share this amazing resource with as many teachers as I can. After last year’s success, we wanted to step it up a notch this year, so we decided to create a video where we acted out every Secret Story. It took us 2 months to complete, but we are proud of the result. We’ve had our students watch it many times and they are making even more connections to the stories. Sometimes it is a gesture that one of us did that resonates with them, or remembering who acted out the story that helps the students remember the sound. It has proven to have been a very useful project and new resource. We had a lot of fun doing it, and we would be honored if you had some time in your schedule to watch it. Thank you so much for this amazing resource and inspiring us to want to be the best reading teachers for our students as possible! PS The registration deadline for the week-long South Dakota Kindergarten Academy this summer is fast approaching, and the preK/Kinder days have sold out. 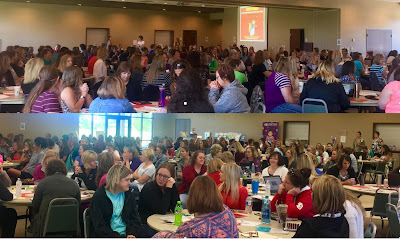 For all those who were unable to get into the PK/K workshop, you are encouraged to sign up for the 1st/2nd grade workshop, as the strategies and content covered in both sessions are applicable across the primary grade levels! For information on bringing Katie to your school or district for workshops, click here. For more information on how to register, visit the Kindergarten Academy Facebook Page or email sac.kindergartenacademy@k12.sd.us. 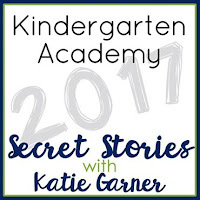 The teacher's comment about the Secret Stories being the "lifeblood of her classroom" really nailed it, and I couldn't agree more with everything that she said! 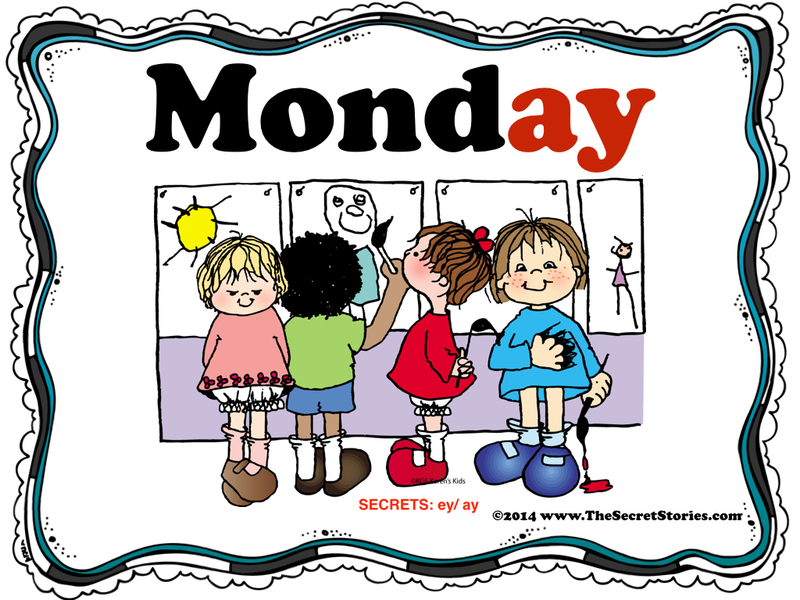 The secrets really do permeate every aspect of our day, not just when reading and writing, but ALL DAY LONG, and even outside the classroom! I have heard other teachers say that they are the most tool in their classroom, but I would go a step further and say that the Secret Stories have made me the teacher that I've always wanted to be. 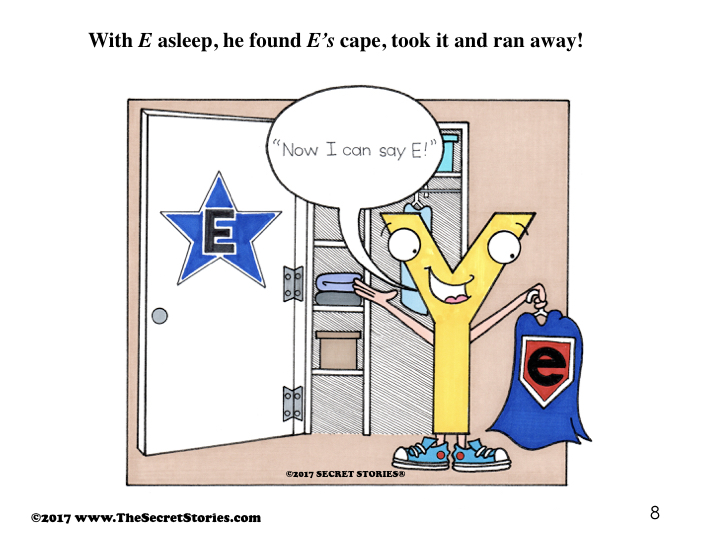 They don't just make it easy to teach reading, they make it FUN! And not just for the kids, but for me too! I can totally relate to the teachers in those videos, as that's how I feel every day in my classroom when I'm telling the secrets to my kids! Thanks so much for posting this, and I can't wait for more! 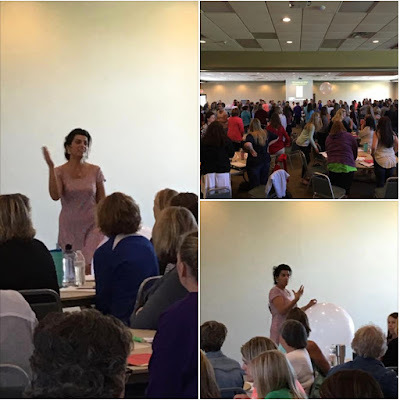 I had also heard through the grapevine in my district that you were going to be the keynote at our state reading conference this year, so now I'm saving up to go, as I would love to meet you!!! Even in kinder, they them so fast and start using them that there's really no reason NOT to teach them, especially since they're seeing the secrets every single day in text! 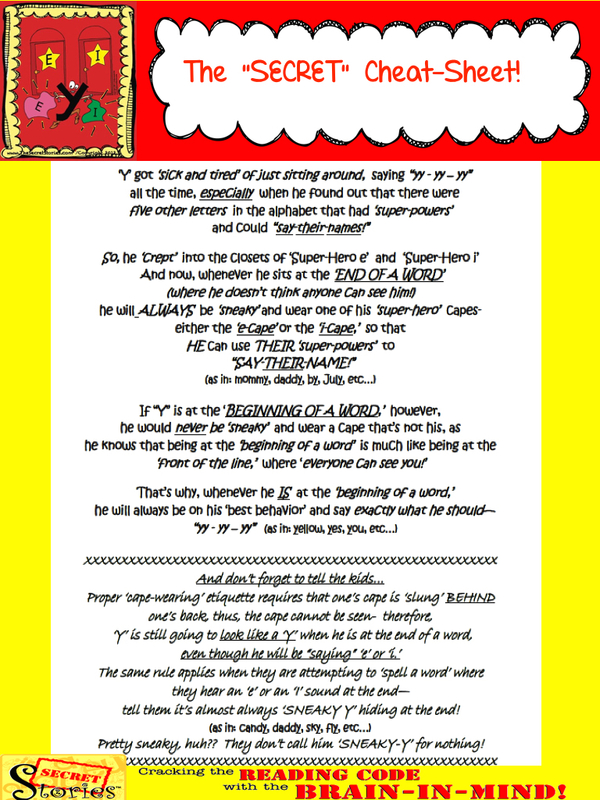 Having a way to explain everything in a way that makes sense (and that kids love!) just changes everything about teaching in kindergarten. 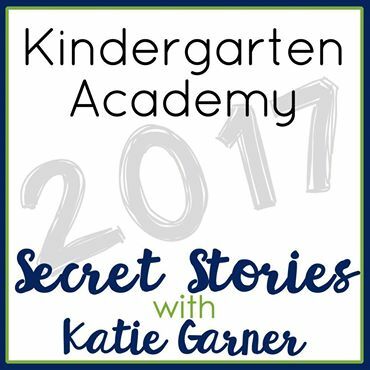 Finding out about the Secret Stories was the best thing that ever happened to me as a teacher, and I'm on my 14th year in the classroom!